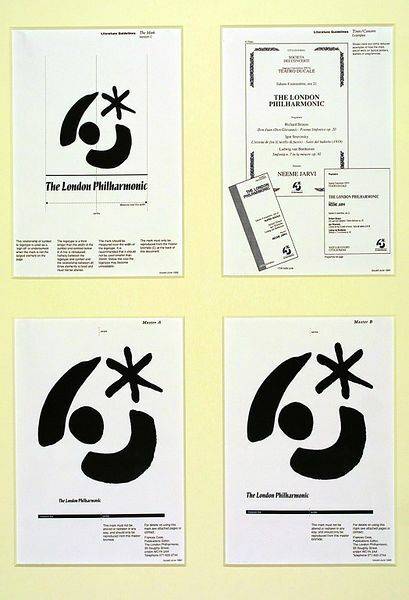 In 1990 Rufus Leonard Design Consultants designed a new corporate identity for the London Philharmonic Orchestra. Their brief was to produce a ‘mark’, a combination of symbol and lettering, for use on all the orchestra’s communication material. This sheet is taken from a booklet given to the client at the end of the project. 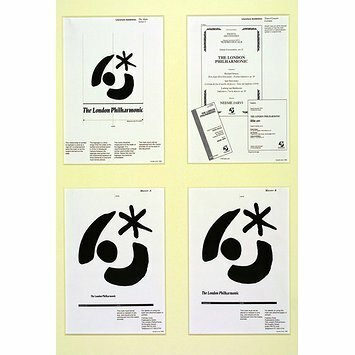 The booklet included layout guidelines and details of recommended ink colours, papers and typefaces. This was to ensure that certain standards could be maintained after the design had been handed over to the client. Here the designers specify the typefaces that are appropriate for different kinds of text.